Welcome to Online Reasoning Section with explanation in AffairsCloud.com. Here we are creating Best question samples from Puzzle with explanation, which is common for competitive exams. We have included Some questions that are asked in previous exams !!! There are certain number of persons sitting in a row and all were facing South and have their birthdays on 8th and 25th of four different months i.e. March, April, May and June but not necessarily in the same order. B is in the middle of the row. D is fifth to the right of E. B has birthday on 8th of the month which is having 31 days. Two persons sit between G and I who is five places away from K. Only three persons have birthday between D and I. M is third from one of the extreme ends but is not sitting between D and E. E is at one of the extreme end. Only one person has birthday before D. Number of persons between B and D is one less than the number of persons between D and N. N sits to the immediate left of M. E and G are having birthday in the same month having 30 days but not in April. 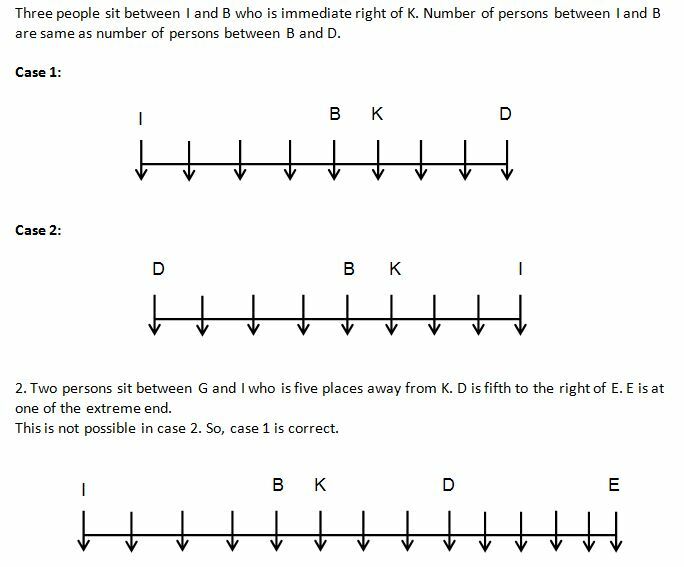 Three people sit between I and B who is immediate right of K. K has birthday after M. Number of persons between I and B are same as number of persons between B and D. E’s birthday was held before G.
How many persons are sitting in the row? How many persons have birthday between B and K? How many persons sit between I and E? Who among the following is the eldest if all the persons were born in the same year? Who among the following are immediate neighbors? Ten friends A, B, C, D, E, F, G, H, I and J are ranked 1 to 10 in a class test but not necessarily in the same order. They all like different cities viz. Delhi, Mumbai, Pune, Chennai, Nagpur, Bhopal, Bihar, Jaipur, Bengal and Haridwar but not necessarily in the same order. The one who likes Chennai stood 1st. B scored even numbered rank and likes Haridwar. 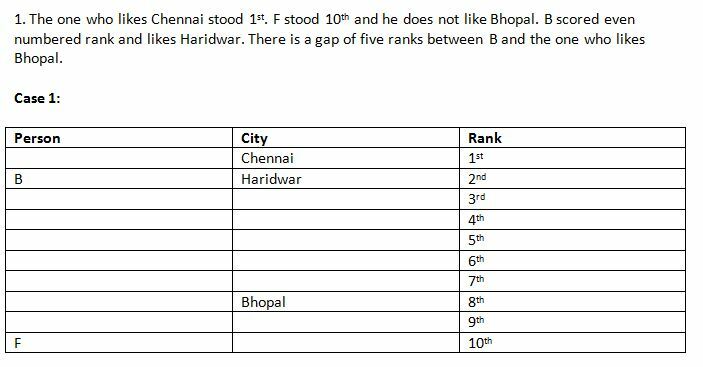 There is a gap of five ranks between B and the one who likes Bhopal. F stood 10th and he does not like Bhopal. H has four ranks less than J and J likes Delhi. Sum of H and D rank is equal to G’s rank. D is not ranked 3rd and does not like Bhopal. I is four ranks above E. A likes Pune and is even numbered rank. C is three ranks above the one who likes Jaipur. One who likes Bengal is ranked lower than the one who likes Jaipur. One who likes Haridwar is five ranks higher than the one who likes Bihar. I does not like Nagpur. What is the sum of ranks of C and E? Who among the following likes Mumbai? G likes which of the following city? How many persons ranked between A and G? If all the persons are arranged in alphabetical order from rank 1 to rank 10, position of how many persons remains unchanged?